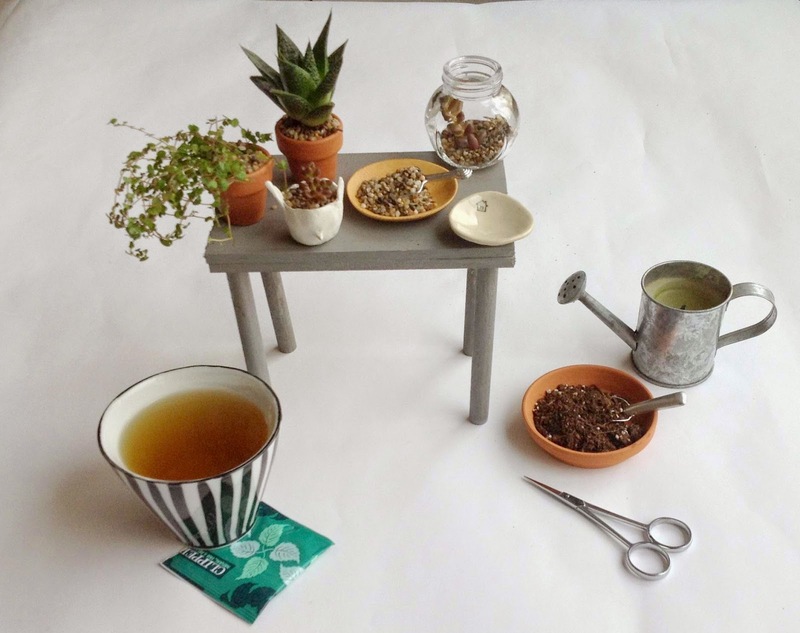 This morning I enjoyed a cup of tea and worked on some mini plants for a little project I'm working on. I love plants, not so strange being a daughter of a Garden Architect. I love that plants are back in fashion, you cannot open a magazine or design blog without seeing lots of plants and that is a good thing! So being inspired by all the pretty plant interiors I decided to combine my love for plants & mini ( doll) things for a little project I'm working on. will share some pictures of the finished project!